Following the example set by the Miss America Competition, another major institution has just taken a huge step toward positive change: The Scripps National Spelling Bee will also be ending the swimsuit portion of its competition. For over 90 years, the bee has asked its contestants aged 15 and under to strut their stuff in form-fitting swimsuits at a convention center in Maryland to help determine the nation’s best speller, but as the country’s attitude toward body positivity has shifted, the leadership of the Scripps Howard Foundation has unanimously decided to remove the outdated event from the competition. Beautiful. 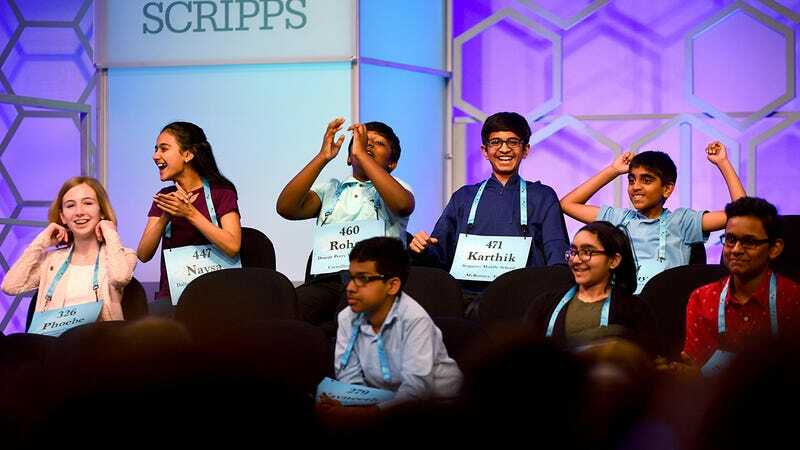 Now, for the first time in decades, kids won’t have to worry if the shape and size of their body might play a factor in their dreams of winning the National Spelling Bee. This is truly a win for body-positivity advocates everywhere!